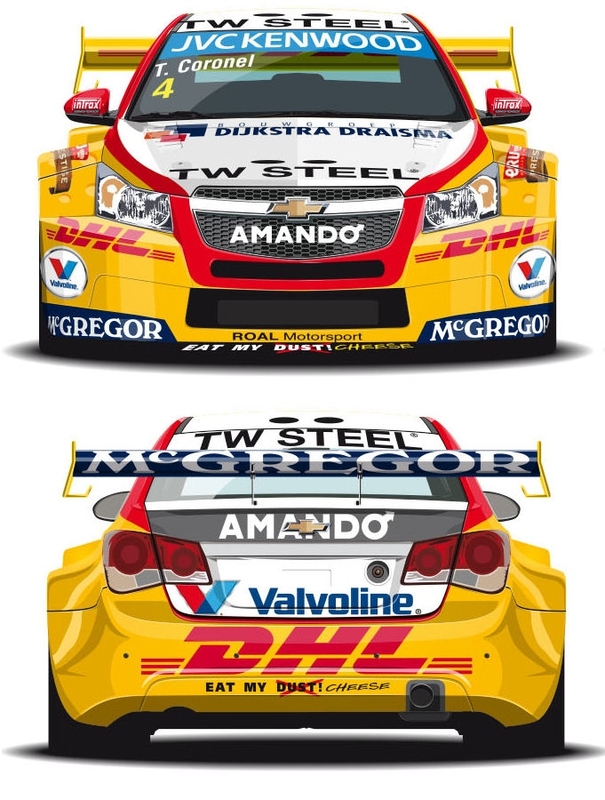 Tom Coronel will return for his 11th season in the FIA World Touring Car Championship, and his fifth consecutive year with Aldo Preo and Roberto Ravaglia’s ROAL Motorsport team in 2015, behind the wheel of the team’s Chevrolet RML Cruze TC1, now with increased backing from logisitics firm DHL. Coronel, the best placed Chevrolet driver in the standings last season, hopes to build on his achievement in 2014, which started in dramatic fashion in Morocco, as his car was infamously destroyed in the second race start and he was forced to miss a race as it was rebuilt. Coronel’s team-mate has already been confirmed as British driver Tom Chilton, with both drivers staying on from last season.